Teenagers pose in the back parking lot of Sun Life Canada on Clapperton Street, later to become Royal Bank. 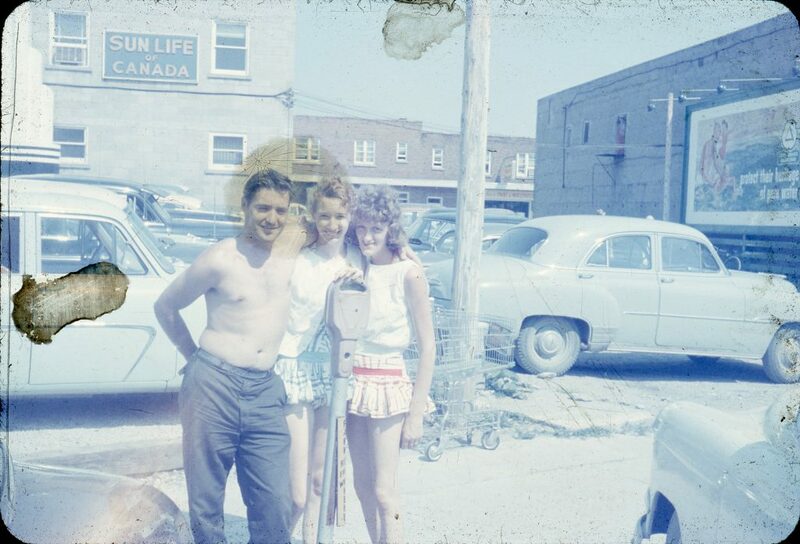 Home/Teenagers pose in the back parking lot of Sun Life Canada on Clapperton Street, later to become Royal Bank. Tags: Clapperton Street, Royal Bank of Canada, Summer, Sun Life Canada.